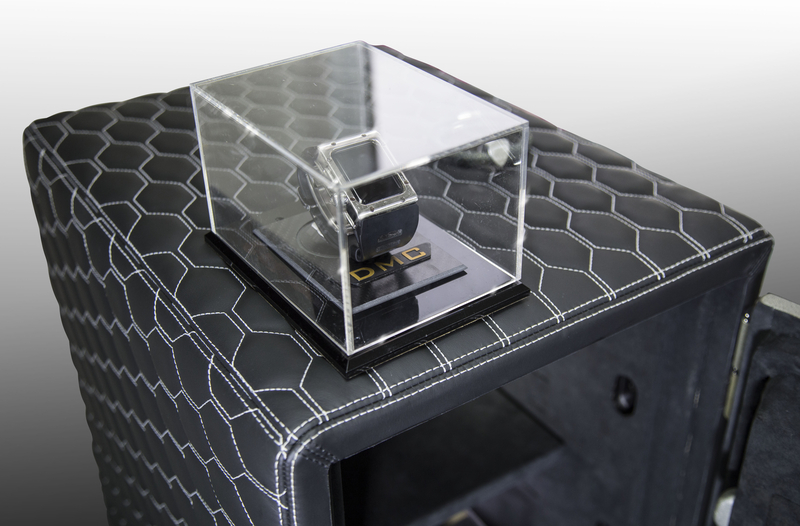 If you are a DMC client, chance is that you not only call a Lamborghini your own but also a set of luxury watches. But where do you store your Richard Mille, Audemars Piguet or other time piece? 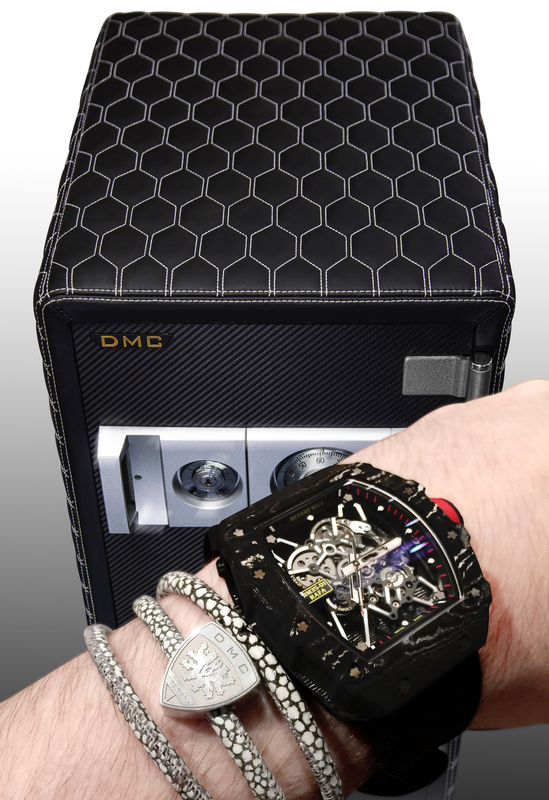 The German engineers have got the answer for you, introducing the DMC “Tresor”! 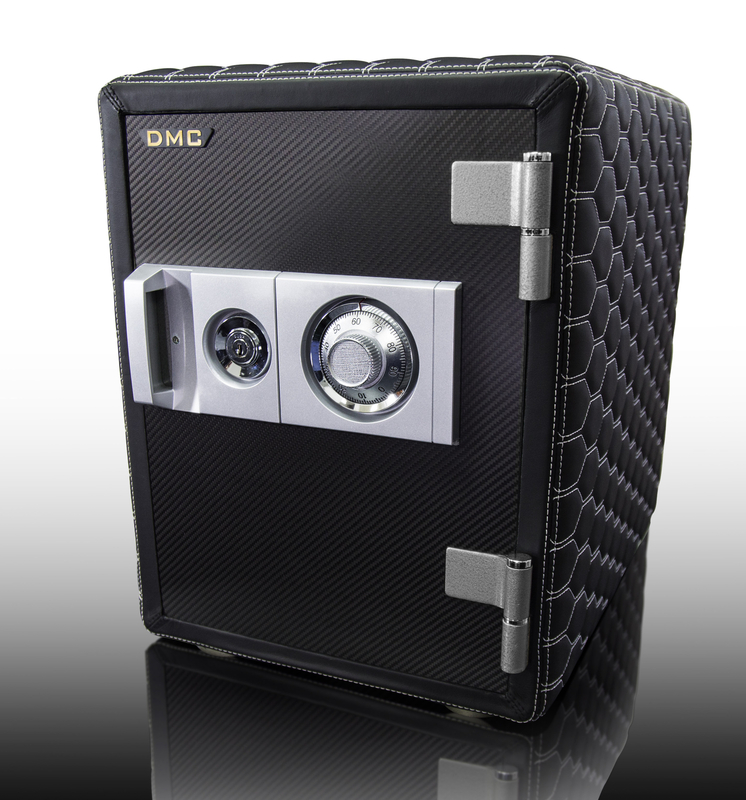 DMC designed both the exterior and the interior of the high-security safe, of which only a limited edition of ten per security class exist. 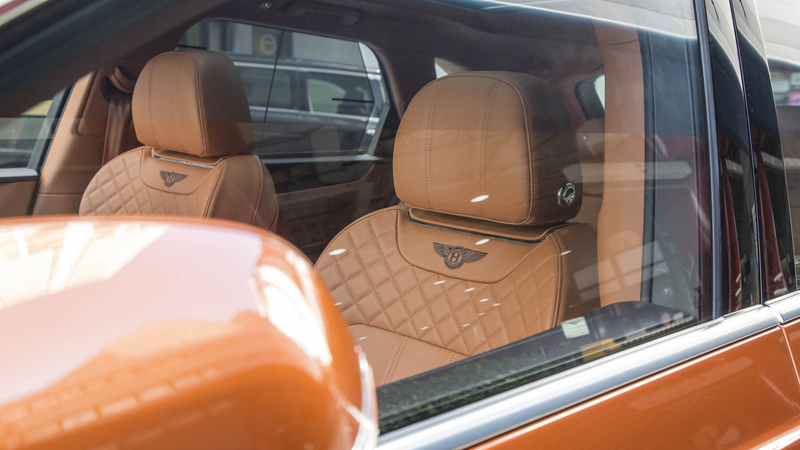 Among it’s exterior refinements, you can choose a fully customisable leather pattern on the outside, a carbon fiber plating on the door, and Gold / Platin plating on the door lock panel. Why not choose a different pattern, or match the interior of your Ferrari with it’s external leather? The interior uses the finest Alcantara and can be equipped with watch winders that are driven by battery to prevent fire hazards. Or why not include a humidor with an electronic humidifying system for your cigars? 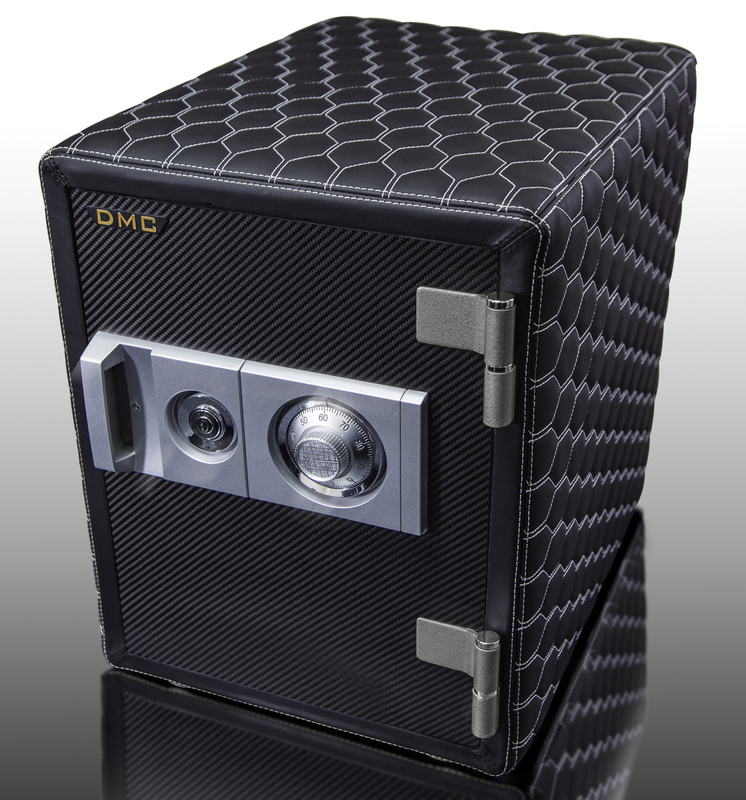 But even if you just want to place your Jewellery, or important documents, the DMC Tresor is the most stylish luxury safe you can image and will be a hightlight in your office or at your home. 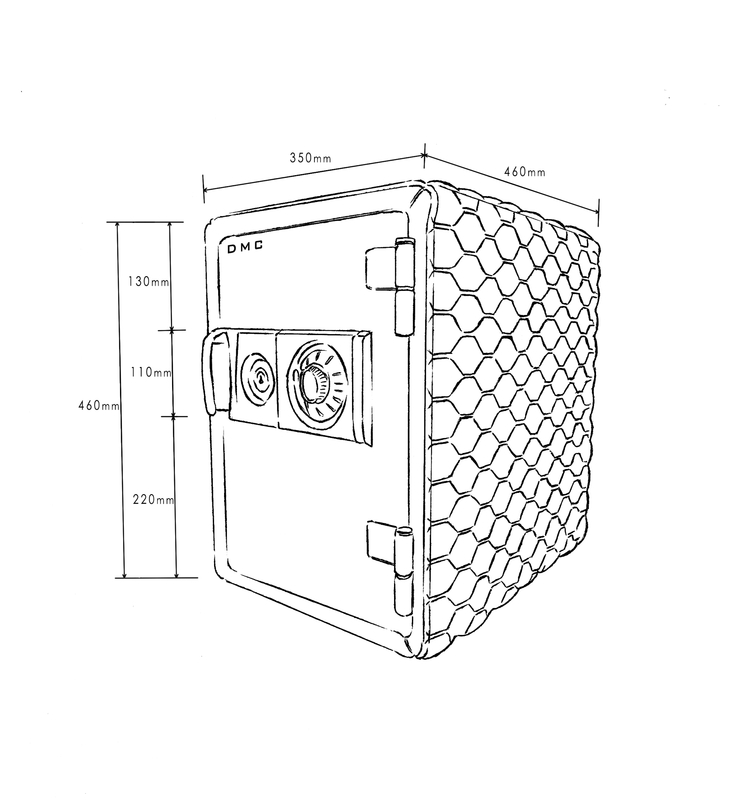 The safe itself can be ordered with an extensive list of security features: Fire Proof, VdS/EN3, and even VdS/EN5. And if that’s not enough, you can even option it with an certified insurance coverage of up to US $1,000,000. Additional options include a connection to a burglar alarm, that can trigger a “silent alarm” function. 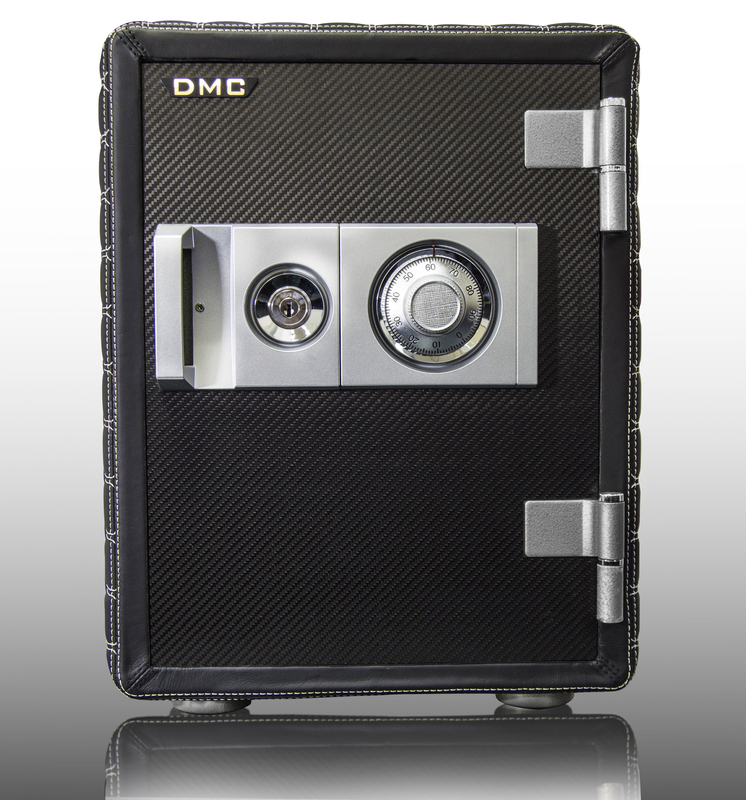 But even in it’s purest form, the DMC Tresor will give you something that other safes can’t give you: It fits right into your life style while keeping your valuables secure. DMC Tresor starts at a mere USD 3990, and a size that is extremely well usable at any location. 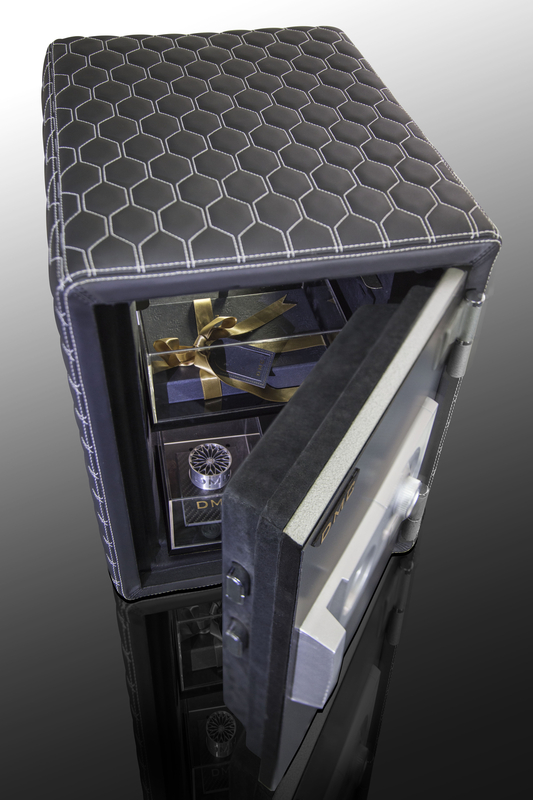 Contact the Germans for bigger safe options and all your customising ideas, the opportunities are endless. To our surprise, the DMC package is more elegant than wild. The major conversion on the optical side seems to be concentrating on a new set of forged aluminium wheels and some carbon accents. So long, until you hear its sound and feel its new powertrain. But let’s review it step by step. On the front we see a new carbon fiber hood, the sides wear some decent looking carbon fiber skirts, and the rear has got a carbon fiber trim. The parts seems to underline the original line rather than making too much noise. 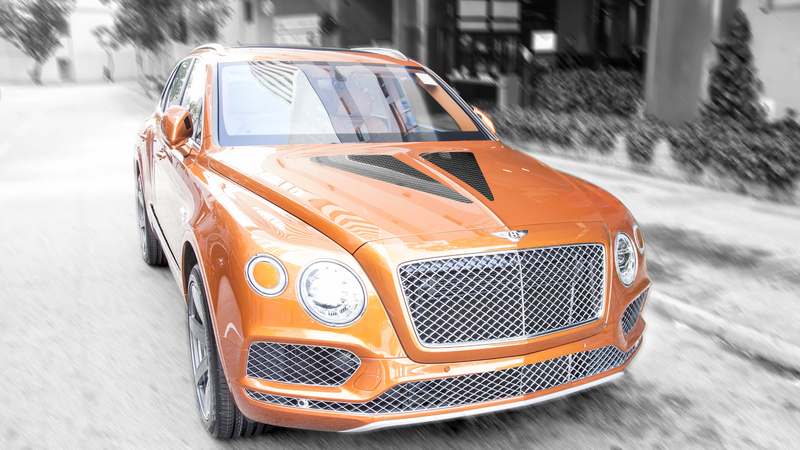 But the car certainly looks different, more unique, in a gentlemen type of way. 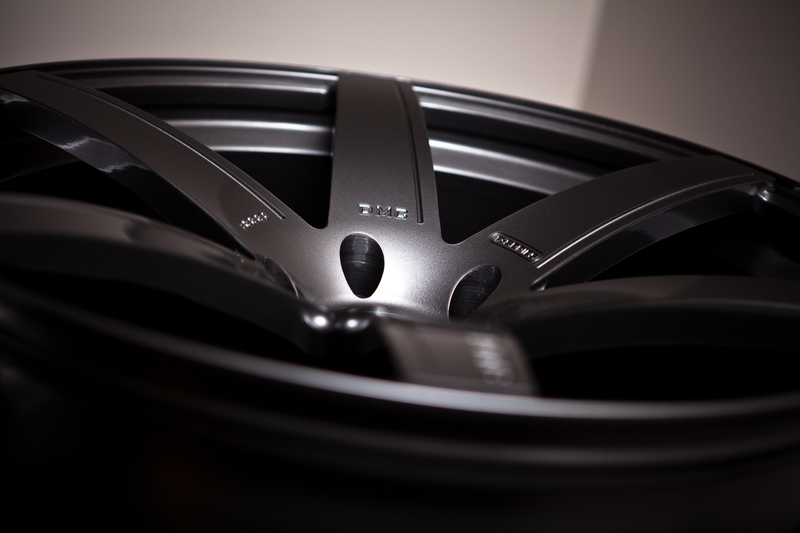 The forged aluminium wheels are available in 22-24” and truly lift the scale of appearance. 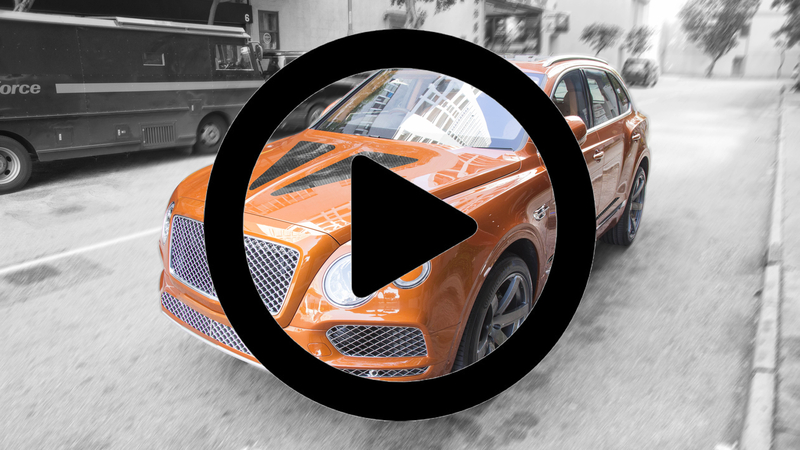 It has been commonly criticised that the Bentayga’s OEM wheels were not the best creation that came from Bentley. 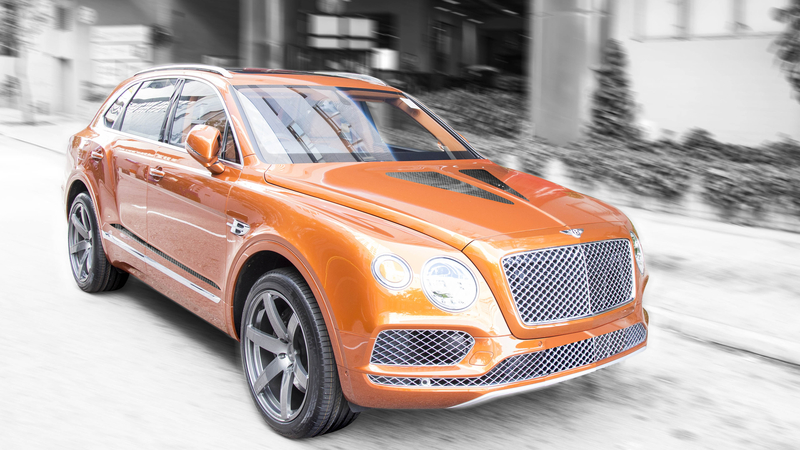 DMC took this chance and designed a set of massive wheels that every Bentley Bentayga should wear IOHO. To keep up with the new appearance, DMC did not forget to put their hands on the W12 engine. Starting with a new exhaust and a clever engine management. 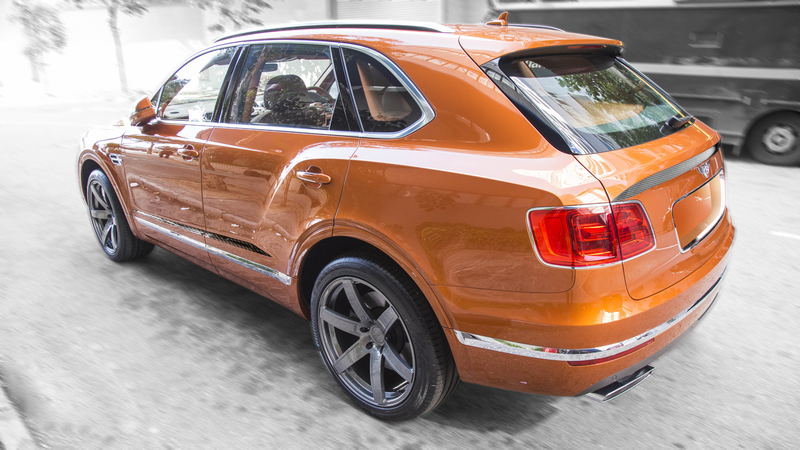 The DMC Bentayga now gets a new performance upgrade to 702 PS, which translates to a new top speed of 312 KM/H. 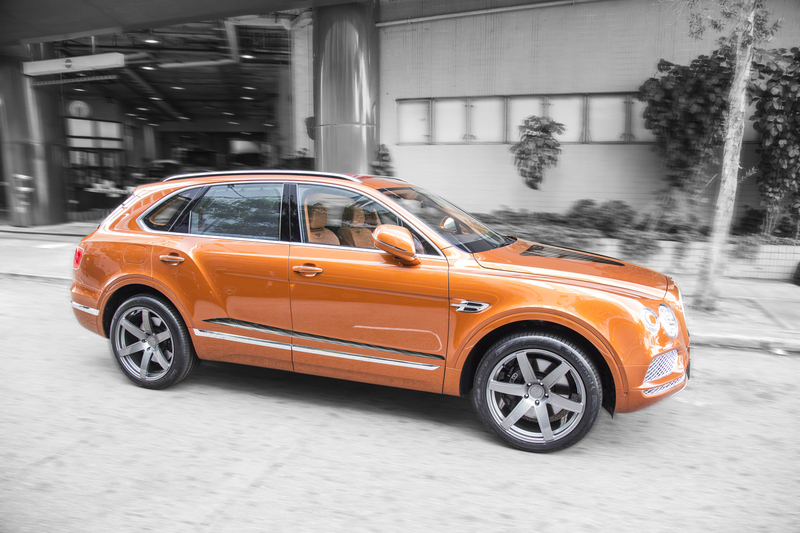 On paper that’s only 11 KM/h more, but what gives us the thrill is the new maximum torque of 1055 Nm. It literally pushed you onto the back seat when pushing your foot on full speed. As for the interior, DMC currently offers a new customised carbon fiber steering wheel with accents of italian leathers, and a set of hand stitched floor mattes. 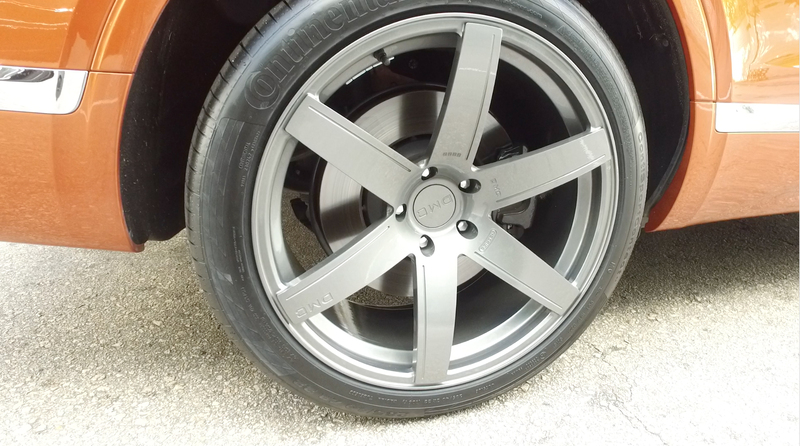 On request of the exclusive clients this can ofcourse be extended to the whole passenger compartment. Click to play a video!